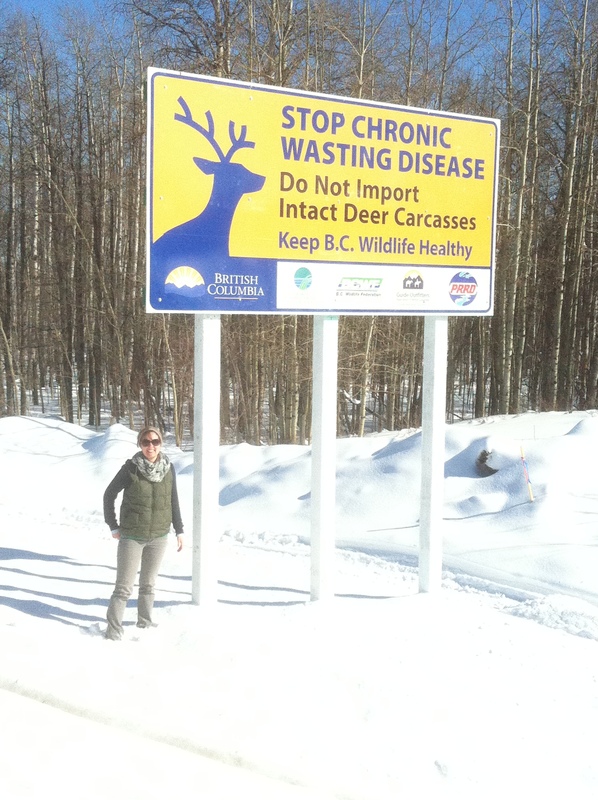 Chronic Wasting Disease (CWD) is an international wildlife health issue. The disease, only seen in species of the deer family, has a long incubation period, is incredibly persistent in the environment, and is always fatal. As such, the management of CWD is of increasing importance to wildlife users , managers, and communities that depend on a healthy and sustainable wildlife resource. As of March 2019, British Columbia (B.C.) has yet to confirm a positive case of CWD. Unfortunately, sampling numbers in recent years have been below target sample size to provide confidence that CWD is not present in the province. B.C. is still considered low risk for having CWD however the B.C. Wildlife Health Program is working with partners and a local coordinator to improve sampling effort in priority areas along the Alberta border. The province has taken steps to reduce the risk of introduction by not allowing the farming of native cervid species and implementing protective regulations to control the importation of cervid carcasses and other animal products. However, the disease continues to spread westward from Alberta, and potentially north from Montana, so the possibility of introduction to B.C. remains of high concern. Increasing disease prevalence in neighbouring jurisdictions and emerging risks such as potential contamination of plant material are important factors to be considered. The B.C. Wildlife Health Program (WHP) updated the Surveillance and Response Plan for CWD in B.C. in early 2019 to include current program activities, recommendations to improve program delivery and a detailed proposed initial response plan to reflect new information and risks. The WHP is committed to integrating our efforts with First Nations, local communities and stakeholders to improve knowledge and monitoring for the disease. A crucial step is the involvement of people connected to the higher risk areas of B.C., namely the Peace and East Kootenay regions in the north- and south-eastern parts of the province, respectively. The newly revitalized Regional CWD Working Groups met on January 28, 2019 in Cranbrook, and February 26, 2019 in Fort St. John. At these sessions, First Nations, stakeholders and representatives from agriculture agencies and organizations, meat cutters, hunting associations, and wildlife, range and ecosystems management staff provided input and local expertise to the provincial program. These regional discussions, as well as input from the Provincial CWD Advisory Committee will help to improve the Plan and delivery of the B.C. 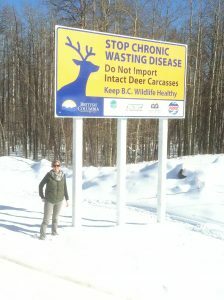 CWD Program and ensure that B.C. is prepared for CWD if and when it enters the province. The B.C. Wildlife Health Program would like to thank those that participated and emphasize the value of their input. Relationships formed will go a long way to create a useful and well informed collaborative approach in the event of a positive case in B.C. If you would like to get involved or have questions about CWD in B.C., please contact Cait Nelson at 250-751-3219, or email at Cait.Nelson@gov.bc.ca.